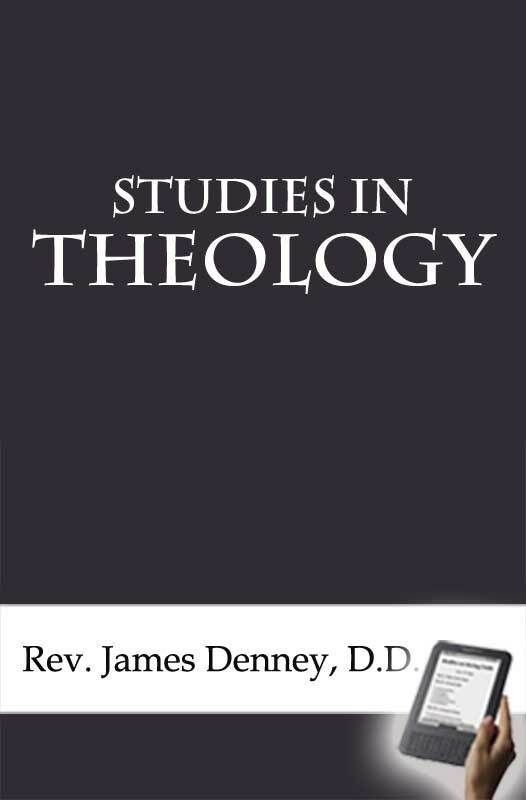 This e-book is a series of ten lectures Denney presented at the Chicago Theological Seminary and contains a wide range of topics in theology. James Denney, D.D. (1856-1917) was a Scottish theologian and preacher. Denney was Professor of Systematic Theology at Free Church College Glasgow in 1897 and spent the rest of his life teaching there. Denney's greatest contribution to theological literature is in his robust defense of the penal character of the atonement. First expressed in his Studies in Theology, it found its fullest expression in his 1902 work The Death of Christ (London, Hodder and Stoughton, often reprinted), and its follow-up (in later editions included as an appendix in The Death of Christ), The Atonement and the Modern Mind. Denney insists that the death of Christ cannot be understood unless it is seen as a death for sin, as Christ bearing the penalty in the place of those he came to save. Lecture I--The Idea of Theology. Lecture II--The Witness of Jesus to Himself. Lecture VII--Christ in His Exaltation. Lecture VIII--The Church and the Kingdom of God.